Alvira Limousine is the widest and largest Luxury Limousine rentals in Australia. With limousines maintained to perfection, customers will sure love our limos. Take your tour to a whole new level and drive like a star. With our limousines that can accommodate up to 16 passengers, and if you want to call all your friends, then we are happy to tell you that we provide up to 8 limousines for you and your crew! 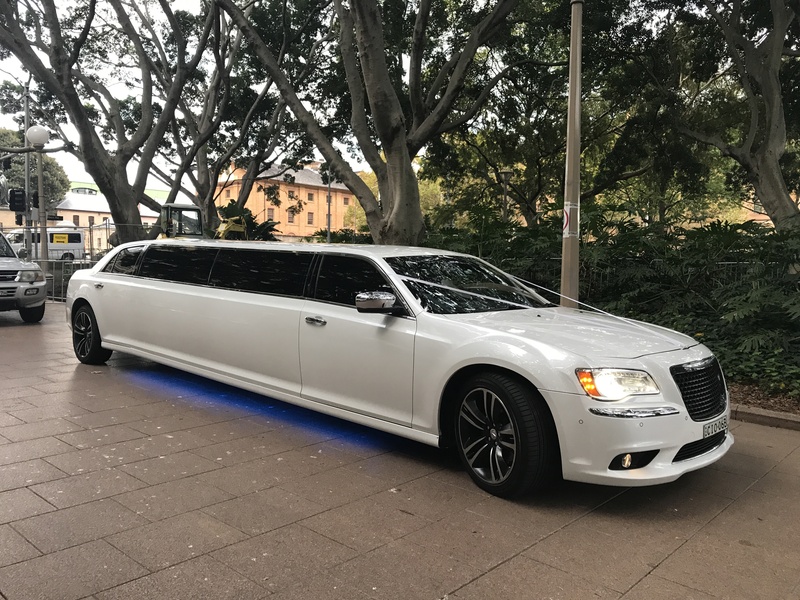 Other than giving you the best Stretch Chrysler Limo Sydney, we are also glad to deliver the car right in front of your home without any additional fees and extra charges. We cater different areas in Australia including Canberra, Penrith, New Castle, Goulbourn, Central Coast, Sydney, Wollongong, and Blue Mountines. Christmas, New Year Party. This will definitely make your Christmas and New Year celebration more awesome than before. Hey, who said you can’t celebrate in a limo? Before your best friend’s wedding, ask him out and throw a limo party! This is going to be his/her last day being single so give him/her the best single party he/she has ever had, a limo party with booze and tours! Birthdays or School formal are usually celebrated at home, or maybe on rented function halls. Why not try something new and throw a birthday party or School formal party on a limousine? Yeah, it is definitely new, and it is going to be fun too! Maybe better that celebrating at home? And cheaper than celebrating at rented function halls? Bride N Groom maybe you are just trying to get away from your stressful lifestyle even for just a bit, unwind and have a road trip with our luxury cars or limousines! It’s just like travelling and having a tour, but you are still on your home. Yes, this is possible because our limousines are cozy and has a home-like ambiance. You think we only have Stretch Chrysler or Jeep Limo Sydney? Well, since this is your wedding day, we have a wedding package just for you! Other than our limousine, our package also includes red carpet, ribbons and wheel covers, soft drinks, champagne, beer, light food and no extra charges for overtime. Alvira Limousine also has variety of limousines from Chrysler 300c, Mercedes Benz, Jeep, and Hummer H2. Have a reservation now for your special occasions and events and make that memory last with Alvira Limousine Hire.